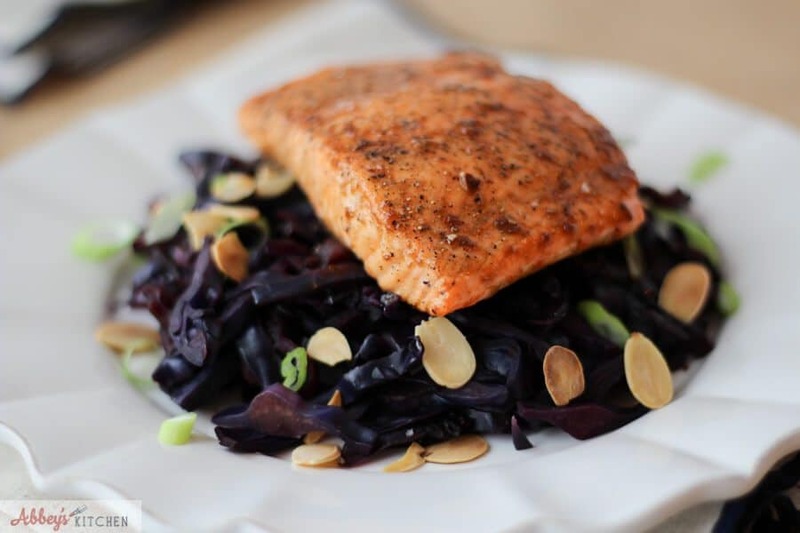 This recipe for Maple Glazed Arctic Char with Braised Cabbage and Apples is a great way to introduce sustainable seafood into the home. 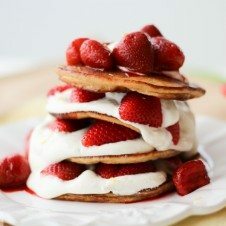 Plus, it’s crazy delicious. 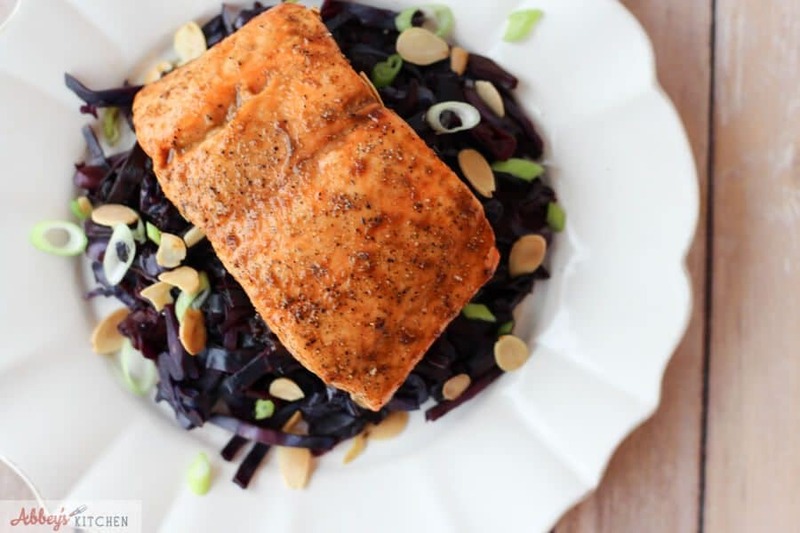 Let’s talk about sustainable seafood choices like this delicious maple glazed arctic char. The term sustainable has definitely garnered some extra buzz lately but what does it even mean? Well, ultimately, sustainable fish are those that are most abundant in the oceans, and are also caught or farmed without damaging our oceans. 1 – What is the name of the fish? The more detail the better. So if you know it’s Tuna, ask is it Albacore? Bluefin? Big Eye? These details can be very important for determining its sustainability. 2 – Where was it caught? Again, the more regional the better. Pacific vs. Atlantic vs. Mediterranean can sometimes be enough – but something like Gulf of St. Lawrence or Northumberland Straight is much better. 3 – How was it caught? Fishing gear type is important. Gear like bottom trawls, driftnets and longlines scrape the ocean floor and destroy everything in its path. They also pick up species that the fishermen didn’t want so they just toss them back in the water and kill them unnecessarily. Ideally, you want to look for fish caught by hook and line or trap caught, which are much more specific and less invasive techniques. Smaller is better! Little fish have accumulated less toxins (like mercury), are often more abundant, and live shorter lives, with high reproductive capabilities. Sardines are a good example of this. Closed system land based farmed species are good, but not open ocean farmed species. Wild on the other hand can be sustainable or unsustainable depending on the answers to all of those other questions we need to ask. Buy the whole fish! We tend to lose 40% of the fish through filleting and processing, so even if you don’t use the whole fish for a recipe, you can ask your fishmonger to filet it, but keep the rest of the fish and use it for making stocks and sauces. Farmed shellfish is usually a good choice. Farmed shellfish like oysters and mussels are great because they reproduce quickly, filter the water they are in, and don’t require antibiotics or chemicals or feed. Consult an app! There are great resources and apps from Ocean Wise or SeaChoice which will show you what is and isn’t a sustainable seafood choice. I love arctic char. Not only is it sustainable, but it’s high in omega-3 fats which Canadians typically don’t get enough of. Arctic Char is also super delicious with sweet, spicy and salty flavours like what I’ve done in this glaze. 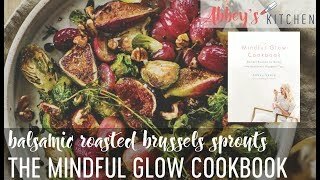 I serve mine on a low carb, low calorie bed of braised cabbage and apples, super satisfying – but also crazy light. It’s also gluten free, dairy free and pescatarian friendly. What are your favourite sustainable seafood options? 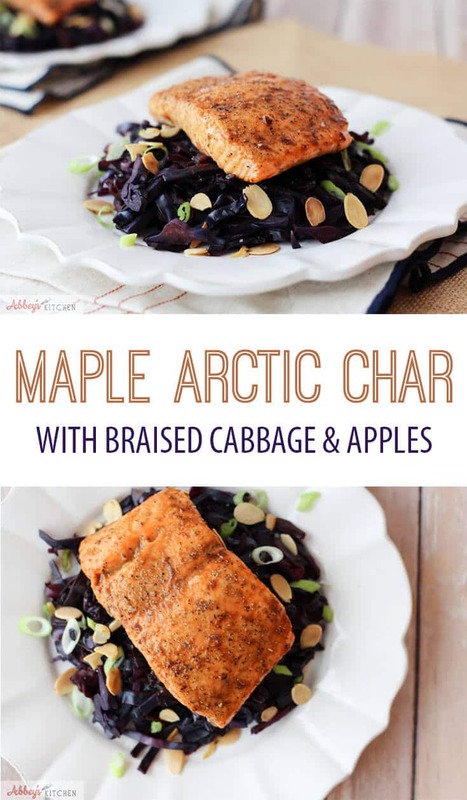 Have you tried making arctic char? 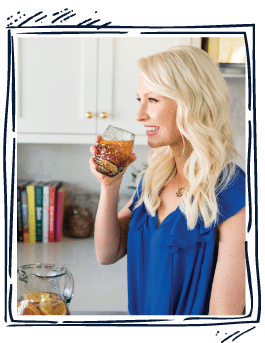 Leave me a comment below with some of your go-to fish recipes! 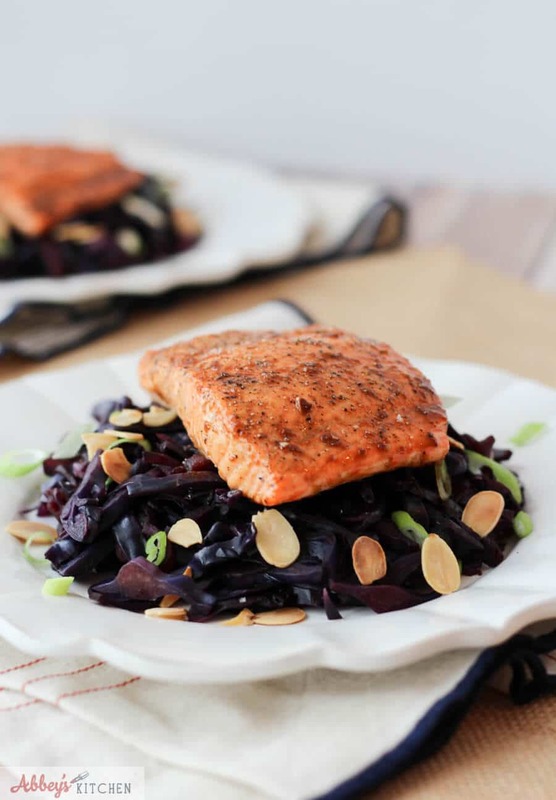 This recipe for Maple Glazed Arctic Char with Braised Cabbage and Apples is a great way to introduce sustainable seafood into the home. 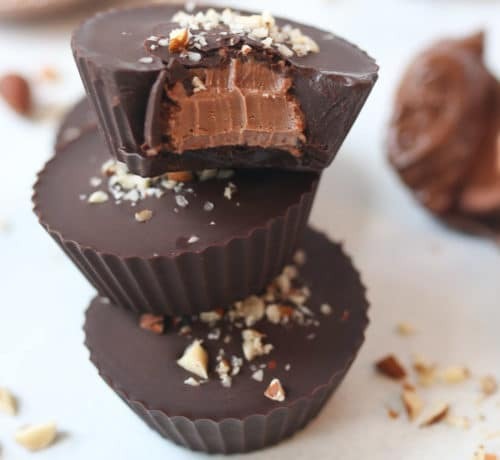 Plus, it's crazy delicious. Preheat your oven to 450 F. Place the fish in a baking sheet, skin side down. Sprinkle with a pinch each of salt and pepper. Bake for 10-15 minutes, or until the fish flakes relatively easily. Meanwhile, heat your oil in a saucepot over medium heat. Add in the cabbage, apple, water, syrup, soy sauce and a pinch each of salt and pepper. Bring the mixture to a simmer, cover with a lid and cook until the cabbage wilts down and is soft, about 10 minutes. If you find the pot starts to get dry, add another 1/4 cup of water. 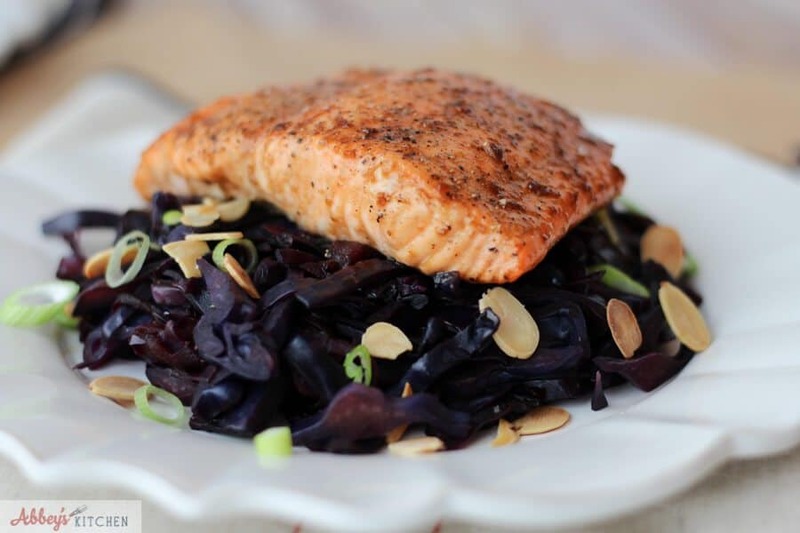 While the fish and cabbage are cooking, mix mix together the syrup, soy sauce, ginger, cornstarch and water in a small sauce pan. Heat on medium until the sauce thickens and bubbles, about 4 minutes. 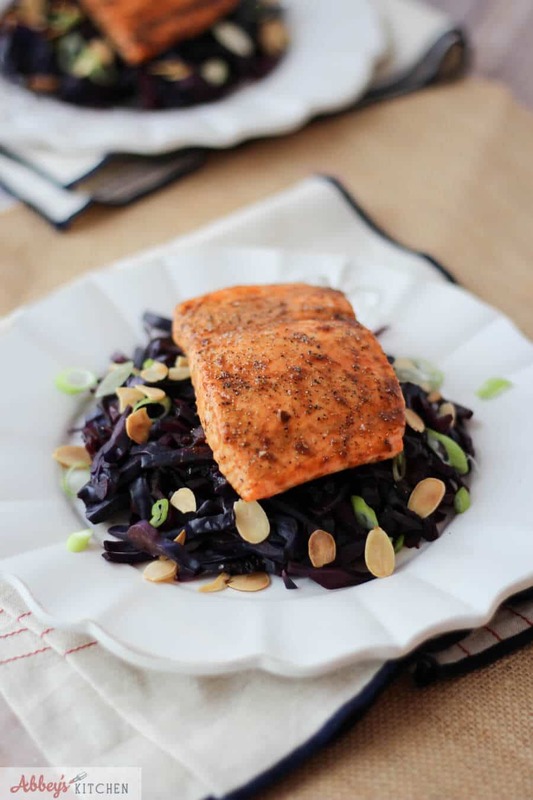 Before serving, brush the glaze generously onto the fish, divide the cabbage between four plates, top with the fish, and garnish with sliced almonds and green onions. 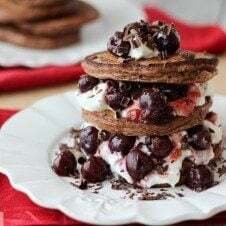 High Protein Avocado Toast with White Beans & Roasted Tomatoes | Gluten Free & Vegan Black Forest Chocolate Protein Pancakes | Gluten Free & Low Fat Strawberry Cheesecake Protein Pancakes | Gluten Free & Low Fat! 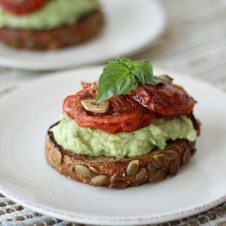 Previous Post Best Lentil & Bean Recipes + What is a Pulse? 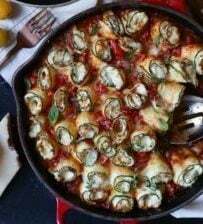 Recipie was delicious! Made a few adaptations like eyeballing the soy and maple syrup amounts and cooked the fish in a cast iron skillet on high heat burner on stove—came out amazing!! !